What is Social Justice Week? He aha tēnei mea te Wiki o te Whai Tika? Social Justice Week was established by the New Zealand Catholic Bishops Conference in 1997 as an ongoing commitment in the Catholic calendar for the week beginning the second Sunday of September. This is a time to consider, reflect and take action on a particular current social justice issue in the light of Catholic social teaching. Social Justice Week falls during the liturgical season of Ordinary Time. This is a period in which the liturgical readings teach us about discipleship. Jesus welcomed everybody into his circle of friends – the poor, sinners, outcasts, the sick and disabled. No one was excluded. Everybody was transformed by their encounter with Jesus, and in turn, their presence among the disciples became a mark of the early Christian communities. At the heart of our faith communities, we must continue to nurture our understanding that we are enriched and vitalised through the diversity of members. In this Social Justice Week, may we all grow in awareness of those whom we include and those to whom we reach out, and may our parishes, schools and places of work be strengthened by enabling all in our communities to play their part fully, so all are enriched. Such goodwill towards others is indeed a precious gift. We will again be hosting visiting catholic schools personnel from Cairns, Australia on Thursday 20th September. The Principals and teachers are keen to see our innovative learning environment in action and we in turn are keen to share how our teaching staff and students have embraced the pedagogy of collaborative practice, innovative teaching and learning and development of student led learning and agency! We will be welcoming our guests with a school Whakatau on their arrival. You are most welcome to join us for this occasion. More details to follow closer to the time. 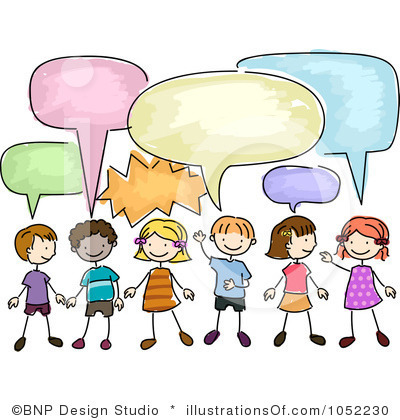 Te Wiki o te Reo Māori is an initiative promoting the use of Māori language, one of the three official national languages of our country (Māori, English and New Zealand Sign Language). This week is part of the broader Māori language revival and raises public awareness for Māori language revitalization, learning and public usage. 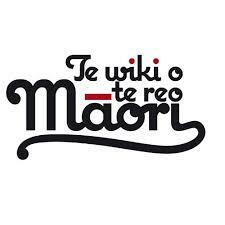 Te wiki o te reo Māori takes place this year between 10 and 16 September. Kia Kaha te reo Māori is the theme for this year’s Māori Language Week. ‘Kia Kaha’ is a well known phrase in New Zealand, meaning ‘be strong’. We often talk about language health, strength, and revitalisation. So when we say ‘Kia Kaha te Reo Māori’ we’re saying – ‘Let’s make the Māori language strong’. Have fun at home practising some of these common phrases! Ka mau te wehi – that’s fantastic! Ka pai – well done! Tino pai rawa atu! – Excellent! 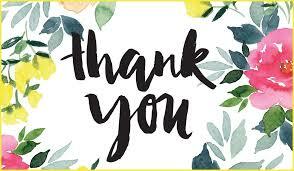 Our thanks to Viv Smith who has been working alongside us this past month in her role as relieving Office Administrator whilst Jennifer has been overseas. We are extremely grateful for the wonderful work Viv has done and for the smooth running of our office administration during this time! Viv completes her position with us this week as we prepare to welcome back Jennifer from her travels. We also welcome Mr Luke King, who is going to take up our Caretaker’s role here at school. Luke and his wife Rose, own and run the SKIDs Before and After School Care programme here. We are very appreciative of Luke’s offer to help us out with care-taking duties for the next wee while. Thanks for serving our community with a generous heart, Luke – a great example of service! Our learning concept this term is SERVICE and a few representatives from each learning community visited our local rest home in Takanini on Tuesday 4 September. We shared our talents through our poems, songs and even our school and Papakura Hakas. We even got a chance to have a chat with the residents to see how their day was going. This was an act of service because our elderly people are important. They are made in the image of Christ just like all of us. When some of the students went to Lady Elizabeth Resthome, we did our own acts of service at school too. Learning Community Maunga and Moana students planned activities for our younger buddy classes. 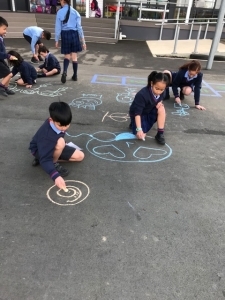 We ran games outside, reading stories to them and did some creative art work inside. I felt that it was a fun day and we enjoyed spending time with the younger children because it’s great to see them smile and being happy. The seniors showed service by sharing happiness and planning a variety of games and activities that helped the young children to work together and to show a positive attitude. What an awesome way to end Tongan Language Week by coming together as a school community to support our Pacific Neighbours of Tonga! 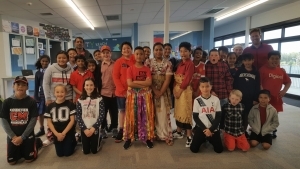 There was a flourish of red and white as our students and staff jumped on board to celebrate and fundraise for Apifo’ou College in Nuku’alofa. We managed to raise $210.00! This will go towards the funding of repairing and restoring Apifo’ou College which Caritas Aotearoa and New Zealand Catholic Primary Principals Association (NZCPPA) have teamed up to do. Thank you for your kind generosity! Next week is Social Justice Week which starts on Sunday 9 – Saturday 15 September. The focus this year is “Enabling Communities: Everyone has a part to play”. We are all valuable before God, and we all have the same desire to experience life more abundantly, as Jesus promised us. God has called us together as one body – in fact, it is our diverse gifts and abilities that make us the Body of Christ. As St Paul wrote to the Corinthians, “if one part suffers, every part suffers with it; if one part is honoured, every part rejoices with it” (1 Cor 12:26). This week as part of Social Justice Week, we’ll be running a Can Drive Charity during the week. Each student/staff can bring in as many cans of food as they are able to throughout the week. 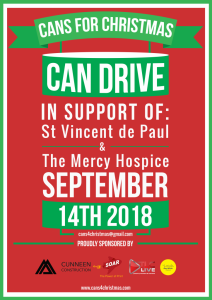 All the cans will be picked up and collected on Friday 14 September and split between Mercy Hospice and St Vincent de Paul Charities in Auckland. They will be distributed to our Auckland families who need food support during Christmas time. We are one of 25 schools from Auckland, Whanganui, Wanaka and Alexandra area that has signed up to support our Auckland families this Christmas. Students can earn Whanau/House points (one can = one point). Our brave Mr Williams, has volunteered to dye his hair the colour of the winning Whanau/House so bring in those cans! 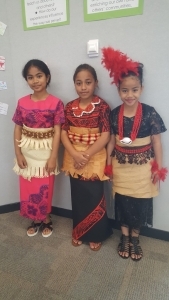 In week 9, our senior students will be representing Holy Trinity at a Kapa Haka Celebration. We are working hard learning our songs and haka in class so we are prepared to be the best we can be. We are showing the Gospel values of resilience/ngawari, whilst learning all the words and actions and excellence/hiranga by “giving our all” to this event. 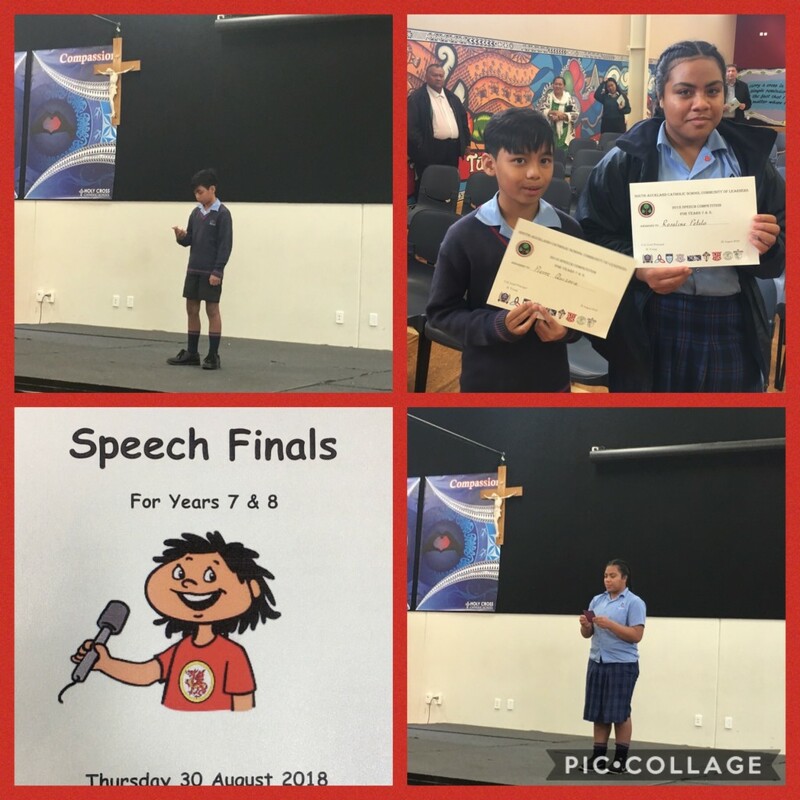 In Week 9, six of our Year 5-8 students will be representing Holy Trinity at the Papakura/Taknini Inter-schools Rehu Tai Speech competition at Hingaia Peninsula School. We have students presenting raps, flash talks and prepared speeches alongside students from all over Papakura. What a great way for students to show the Gospel values of excellence/hiranga and resilience/ngawari whilst representing their school with pride! Just a little update about our fantastic Worm Farm! Earlier this term, we changed and emptied the container layers. Our worms had produced over two litres of worm juice and a whole tray of worm castings. We couldn’t believe how busy they have been! This is fantastic fertiliser for the gardens we are developing. Now we are preparing our worms for the next round, hopefully we can produce the same amount again by the end of the year! Mālō e lelei! 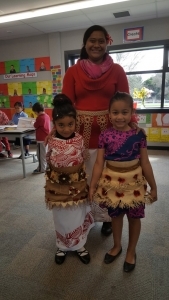 Tongan Language Week – Uike Kātoanga’i ‘o e Lea Faka-Tonga was this week. The theme was: Fakakoloa Aotearoa ‘Aki ‘A E Ofa Fonua – Enrich Aotearoa with the love and duty of service to Country, Community, and People. 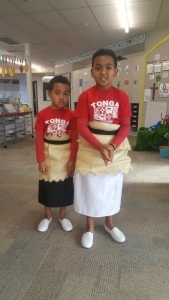 The students in the Cultural Leaders group introduced the Tongan phrase of the week during assembly which was Mālō e lelei and throughout the week they were able to share with the school numbers from 1 to 10 and the days of the week in Tongan. 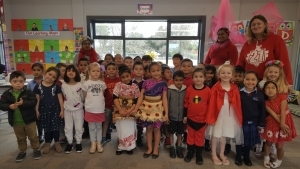 It was also lovely to see the children dressed in Tongan colours of white and red to raise money for Apifo’ou College in Tonga. 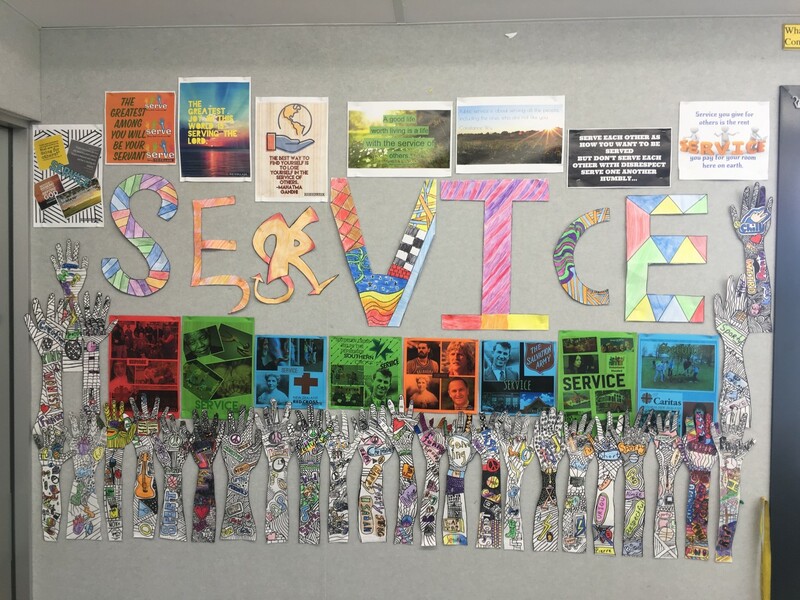 In Whenua we are beginning to unpack the word ‘Service’ by looking at how we can answer the essential question, What is Service? The children have been giving lots of examples of what service looks like for them at home and at school, and we will be focusing more on what service looks like in our community. Learning about Mary, the first disciple, in the RE Communion of Saints Strand has helped children to understand that when we help people, we are being a disciple of Jesus. Please continue to share stories with your children at home about yourself, people or different groups who serve in our community. We would appreciate it, if you can encourage your child to share these with the rest of the children in Whenua. Malo ‘aupito! 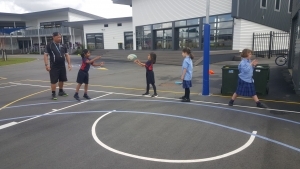 In LC Awa we have been enjoying our Counties Manukau sports lessons. We have been practicing catching and passing the ball using the correct techniques. We have also been learning about teamwork and how working together leads to team success! We are diving into our new concept learning of SERVICE. By inquiring into and researching inspiring people and groups that serve others in our community. We hope to learn how we can serve others and understand why this is important to us. How can we as a family serve others in the community? Who are the people that serve us? What do I want to be when I grow up? What skills and knowledge do I need to get there? 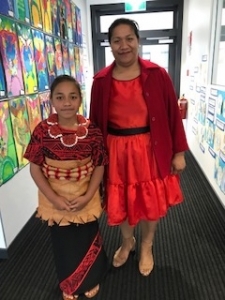 A big congratulations to Pierre and Rosaline who represented Learning Community Maunga and Holy Trinity at our South Auckland Catholic Schools Kahui Ako / Community of Learners Speech Competition at Holy Cross Primary School in Papatoetoe. They represented our school with pride and showed the school Gospel value of excellence/hiranga as they shared their speeches with enthusiasm. Well done! 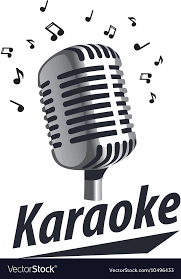 Next week we have two students, Aimee and Eva representing Holy Trinity at our South Auckland Catholic School Kahui Ako / Community of Learners Speech Competition. All the best to you both! 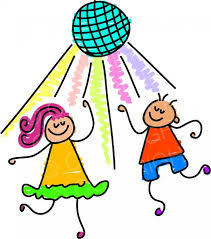 A fundraising DISCO for all students will be held on Friday 21st September 6:30pm – 8:00pm in Taamaua/the school hall. This will be a fun night of dancing the night away! The PTFA will send out a further flyer with information on – AND we would be very grateful for any extra folk who can help on the night so it is a successful family night for all. 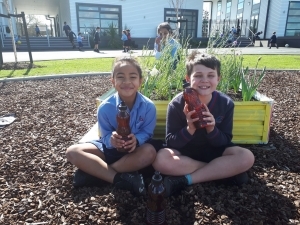 Please let the school office know if you can help out with a responsibility on the night Ph: 296 9039 or email office@holytrinity.school.nz – THANKS! We had a fantastic day at the Year 5&6 Football Tournament – after it was postponed due to the weather last week. Unfortunately we were only able to take our boys team to compete – but they did extremely well. They only lost one game and finished in 2nd Place! This means they will be representing the Papakura Schools Cluster at the Counties Manukau Auckland Champs next Tuesday (11th Sept). Congratulations to all the boys who participated well and showed off our School Gospel values the entire day. Thank you to the whānau who came along to support the team.